The first significant WWII encounter between the American 1st Armored Division and German panzer divisions occurred at the Battle of Kasserine Pass in central Tunisia in February, 1943. The battle was a devastating defeat for the Americans and a significant blow to American morale and prestige. Axis forces handled the green American soldiers easily, defeating them in detail at Sidi Bou Zid and again at Sbietla; but as Allied reinforcements arrived and terrain turned more restrictive in the mountain passes around Kasserine, the Axis attack culminated. Eventually, the Allies gained the initiative and did not lose it again in the North African Theater. 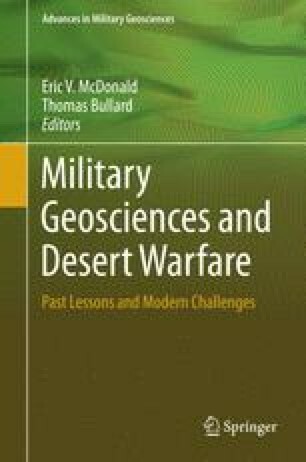 Both poor preparations for combat operations in the desert environment and an ill-conceived and poorly tested armor force doctrine contributed to the American defeat. This study examines the conduct of the engagements at Sidi Bou Zid, Sbietla and in the vicinity of Kasserine Pass itself. In the end, it was the restrictive terrain west of Kasserine Pass as much as the efforts of the Allied troops that forced Rommel’s forces to culminate short of obtaining his objectives.